The Nepean Raiders have been active in the community for the past 42 years. This year the Nepean Raiders have plans to further enhance the organization's involvement with our local minor hockey, public skates, school visits etc... All the while, icing a team that has been amongst the top of the league year in and year out. Our sponsors have contributed greatly over the past, we are looking to make an even bigger splash this season in an exciting time for hockey in the city. We anticipate greater numbers of attendees due to our involvement within the community and our high level of entertainment value on the ice. We have set out as you will see on the following page, various pricing options that will advertise your business if you are interested in becoming a sponsor. 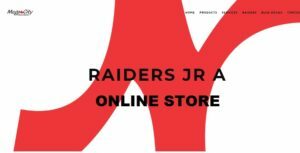 On top of all the standard pricing options, you will receive a link to your company's website through the Raiders website @ www.nepeanraiders.com . Your business will be recognized in our program as well as announced @ every home game. Also, you will receive two season passes to the Raiders home games for the 2015-16 season and playoffs as well as an invitation to all special events held for the Raiders. Our goal is to help our players gain scholarships and continue their development with future hockey endeavours. We look forward to working together with this old tradition brought to new surroundings. Your involvement would be greatly appreciated as the Raiders make a run for the 2014-2015 championship! You will receive a tax receipt for your sponsorship.